The Silver Ghost Collection is an homage to the original Rolls-Royce Silver Ghost from the early 20th century. Rolls-Royce Motor Cars has announced a special run of 2018 Ghosts based on the legendary Silver Ghost from the early 1900s. While the Ghost's name is already an homage to what Autocar called the "best car in the world" at the time, Rolls wants these variants to emanate the rarity and attention to detail that the original Silver Ghost was known for. The company will build just 35 cars for the "Silver Ghost Collection," featuring a unique "Cassiopeia Silver" paint based on the original Silver Ghost's color scheme. The paint features particles made from 100 percent silver and takes eight hours to put on. 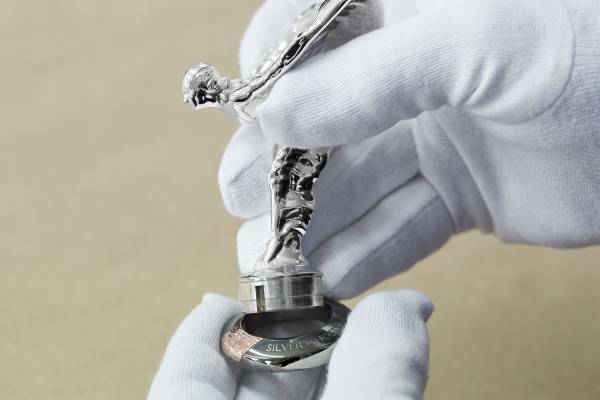 The signature Spirit of Ecstasy hood ornament is made of sterling silver and features a hallmark on its base that reads "AX201" in reference to the original Silver Ghost's license plate. A gold-plated collar attaches to the ornament's base, featuring a special copper insert made to resemble the copper material used extensively in the Silver Ghost's engine bay cover. Other exterior bits that take inspiration from the original Ghost include a black grille (similar to that of the Silver Ghost) and wheel caps that say "SILVER GHOST- SINCE 1907." The inside of the car features the same inspiration and attention to detail. Bespoke forest green leather covers the seats, with silver-tipped leather on the panniers in the door panels. The Ghost's silver ingot-styled clock bears a plaque with the same words as the wheel caps. Even the car's accessory case and pen have features from the Silver Ghost. It's safe to say that Rolls-Royce wanted every detail of these cars to represent its original flagship vehicle. The famous car of which these 2018 models is based is Sir Henry Royce's Silver Ghost, which endured a non-stop 14,371-mile drive, completed by Charles Rolls and Claude Johnson in 1904. This arduous journey marked a new chapter for automotive reliability and durability. 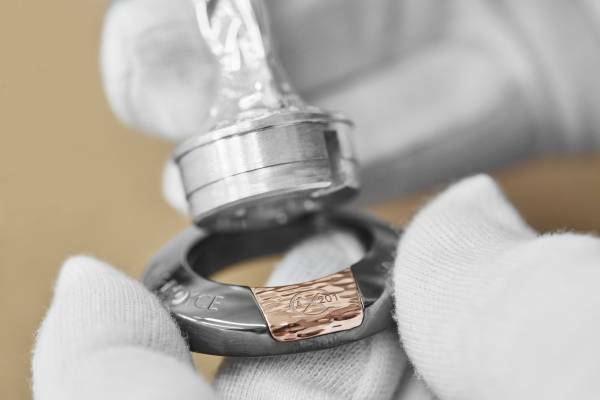 “The extraordinary accomplishments of our marque’s founding fathers are honoured by the creation of this elegant ‘Silver Ghost Collection'," said Torsten Müller-Ötvös, CEO of Rolls-Royce Motor Cars. 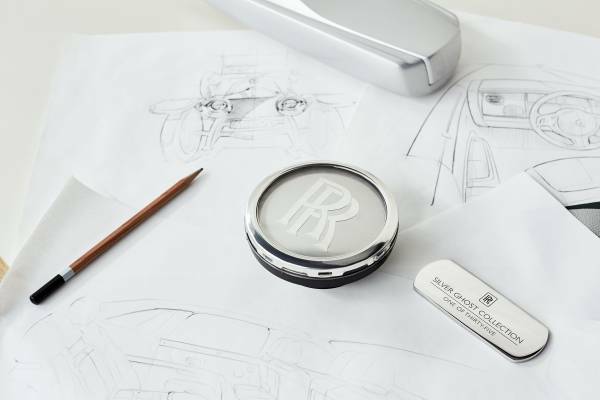 "The Rolls-Royce Bespoke Collective masterfully weave the rich narrative of the original ‘Silver Ghost’ into just 35 motor cars, creating a contemporary homage to the original motor car." All-new Rolls flagship goes nuts with onboard Gallery, a dashboard canvas for personal artistic expression.